Why should I consider stocking with this retailer? Starting out as a local retailer in 1973, PARKnSHOP began its expansion in the mid-1980’s and has since grown vastly. 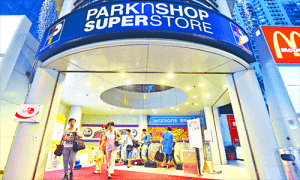 PARKnSHOP is a member of the A.S. Watson Group, a subsidiary of CK Hutchison Holdings Limited. A.S. Watson Group is the world’s largest international health and beauty retailer with over 14,000 stores in 24 markets. Every year, over 4 billion customers and members shopped with our 13 retail brands in stores and online. 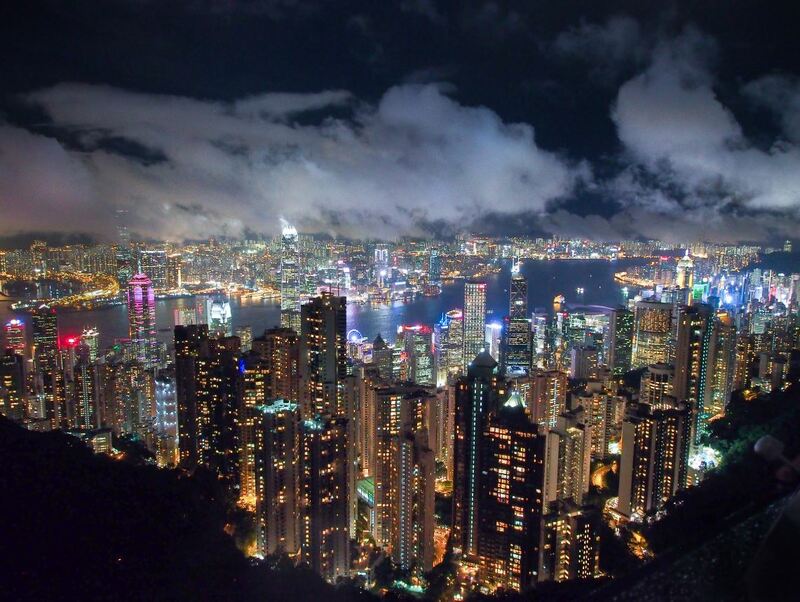 With over 130,000 employees worldwide, including 12,900 in Hong Kong, A.S. Watson Group is also a member of the world renowned multinational conglomerate CK Hutchison Holdings Limited, which has five core businesses – ports and related services, retail, infrastructure, energy and telecommunications in over 50 countries. PARKnSHOP also boasts an e-commerce website, offering an extensive selection of products, from pet care to fresh food. 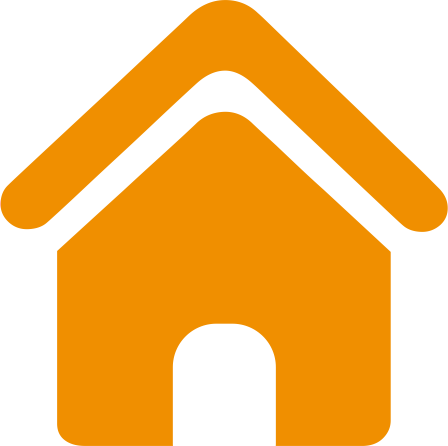 The website is well categorised with an excellent search capability and online promotions, making it an accessible and convenient way to shop. How much of the market do they cover? 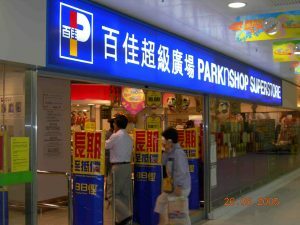 PARKnSHOP is one of the two largest supermarket chains in Hong Kong, and operates over 300 outlets across Hong Kong, Macau and Mainland China. What kinds of products do they stock in the health food / niche categories? This retailer operates alongside a number of different brand names that target high-income consumers and which are presented as “lifestyle” food stores. They stock a large variety of imported goods, fresh fruit and vegetables and many non-food items. Some of these stores include Fusion by PARKnSHOP, Taste, International by PARKnSHOP, Food Le Parc, Gourmet, GrEAT, Su Pa De Pa and Express. Fusion, Taste and International are the associated high-end supermarket brands of PARKnSHOP, and they stock a broad selection of imported foreign brands catering for Asian and Western customer segments. Depending on volume, this retailer will deal directly with overseas suppliers, local import agents, or will nominate an Australian-based consolidator that aggregates their shipments for them. Your best bet may thus be to contact the consolidators they work with in Australia: Australian Fine Foods, Easychef and Lawand Trade. 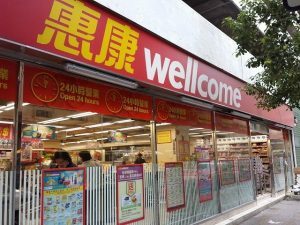 Wellcome has set the standard for grocery stores in Hong Kong, as the first to establish a home delivery service and a self-service retailing concept. This format is trending; with modern grocery retailers accounting for 62% of value sales in grocery retailers in Hong Kong in 2016, compared to traditional grocery retailers such as street hawkers. While online grocery retailing is still growing and in its infancy in Hong Kong (in terms of consumer spending), the trend of online grocery shopping advanced tremendously in 2016 as millennials and generation X consumers became more mature in their use of digital technology. Engaging digital technology since their youth, these consumers are increasingly displaying enthusiasm and confidence when it comes to online payments and platforms. Modern hectic lifestyles are also a major motivation for shoppers of regular grocery items, now selected on-the-go via mobile devices – and so this trend looks set to grow. 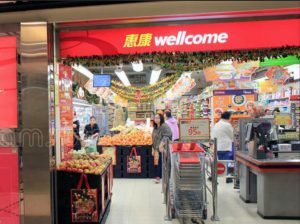 Founded in 1945, Wellcome supermarket is the other largest supermarket chain in Hong Kong alongside PARKnSHOP. Since 1964, Wellcome has been wholly owned by The Dairy Farm Group. With a network of over 280 stores and over 8,000 employees, Wellcome services over 16 million customers every month. What kinds of products do they stock in the health food/niche categories? Wellcome specializes in imported products, including wine, biscuits, canned food and beverages. Oliver’s the Delicatessen, ThreeSixty and Market Place by Jasons, operated by The Dairy Farm Group, are upmarket supermarkets and offer great selections of imported goods appealing to high-income customers. Like PARKnSHOP, depending on volume, this retailer will deal directly with overseas suppliers, local import agents, or will nominate their Australian-based consolidator that aggregates their shipments for them. Unlike PARKnSHOP, they work with only one Australian consolidator, Bemco. We suggest you reach out to them to begin the discussion. Established in Hong Kong in 1996, City’Super is an upscale “Mega Lifestyle Specialty Store”. The food & lifestyle retailing arm of Fenix Group a network of 30 companies and 14 factories across 7 countries, City’Super offers a premium selection of products ranging from upmarket fresh produce and groceries to household goods, stationery and cosmetics. Due to its imported and sophisticated products, City’Super is known for having more expensive prices. In concordance with this, City’Super products are directed at upmarket, high-income and international consumers. City’Super’s e-commerce website draws customers in with event information, e-magazine subscriptions, recipes, blogs and shopping capabilities. The Group currently holds over 30 stores across Hong Kong (20 stores), Shanghai (6 stores) and Taiwan (7 stores) under the three store brands, namely, City’Super, LOG-ON and cookedDeli. As an indication of their size, the chain employs more than 1,200 people across their three retail brands. 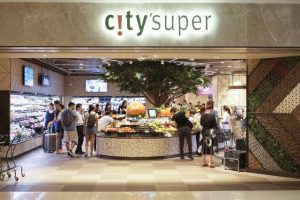 Previously owned by Wheelock and Company Limited, City’Super is now majority-owned by Wheelock and Company Limited’s subsidiary The Wharf (Holdings) Limited, and partly by Peter Woo Kwong-Ching. At the time of the sale of the minority stake to Woo in 2004, the company was valued at HKD 38.9 million. What kinds of products do they stock, in the health food categories? City’Super specialises in upmarket products and luxury imported groceries, differentiating itself from its competitors and establishing itself as a specialist supermarket. Many City’Super retail outlets are also accompanied by adjoining cafes and restaurants, which helps with this image. 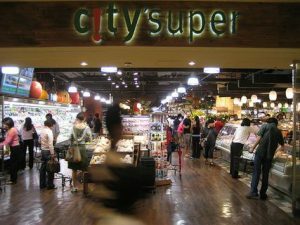 Founded by a Japanese retail manager, City’Super also often holds promotional events for popular imported goods, which are otherwise unknown or unavailable in Hong Kong, Shanghai and Taiwan, contributing to a growing reputation for select goods. This retailer treats Australian imports in much the same way as the other major retailers, dealing directly with overseas suppliers, local import agents, or nominating an Australian-based consolidator. In this instance, the Australian-based consolidator is Alex Reid. To learn more about how your specific product/s may fit in this market; get in touch, as we can ensure you’ve made the right selection; connect with the right pre-qualified buyers in this market; and grow your export strategy.